Rally the Tea Party in Arizona. 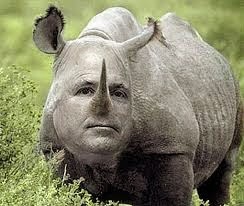 Here’s the exclusive from NBC’s Kelly O’Donnell: “John McCain is ready for a new fight. ‘I have decided to run for re-election,’ the Arizona senator told NBC News in an exclusive interview revealing his plans to pursue a sixth term on Capitol Hill. ‘I’m ready. I am more than ready. In some ways, I am eager.’ McCain is currently 78 years old but will be 80 by Election Day in 2016. He defended his vitality, saying that he is ‘just getting started’ when it comes to his Senate career. Our take: This re-election fight won’t be easy for McCain, because the most challenging re-election races that senators run are either their first re-election contest or their fourth/fifth. McCain officially announces his re-election bid in Phoenix at 1:30 pm ET.